Your self-image is what you feel you are within your mind. If you have a good self-image, you are bound to feel confident and good about yourself. Alternatively, If you have an inferior self-image, you are bound to feel inferior about yourself and have very little confidence. Our personal opinion about ourself affects our self-confidence and self-esteem and is crucial to our emotional, mental and physical health. It defines how we live our lives and interact with the society. Indeed, it is important to improve your self-esteem as it makes you who you truly think you are! Our childhood is when we start forming our self-image. A lot is learnt and imbibed into our minds as we look at our parents act and feel the way they do. We imitate their attitudes and reactions as we watch the world through their eyes. Did your parents role-model themselves as having a healthy self-esteem? At school, relationships with your friends, teachers and administrators influence your self-esteem. Experiences with school work, sports, extracurricular activities etc play an important role in shaping the kind of person you will grow to be. Think about all the people in your life growing up and how they might have influenced your self-esteem. If you come up with negative influences take the time to let it go. Put your past behind you and move forward knowing that you are in control of how you feel about yourself. Society is another major contributor influencing our self-esteem as we have people around us all the time and telling us what to do and what not to do, how to do and how not to do, etc. There are expectations on what kind of job you should be doing and whom you should be marrying and what kind of clothes to wear etc. The nature of the people you surround yourselves with modify you. Think of all the times you have been influenced by the society and thought that you were not good enough to do something. Do what you feel is right at such moments and this will boost your self-confidence. We spend a lot of time with family, friends, colleagues at work and many people who we don’t even know. Are they supportive of you, hold you up in good esteem, cheer you up or are there many who bring you down, spread negative vibes? Are the people you spend time with, contributing to you having healthy self-image of yourself? Surround yourself with people who are happy and creating a positive atmosphere, who are supportive in your good and bad times. Set boundaries from people who send out negative vibes, not because they want to but they themselves have a low self-esteem and blame all the external conditions for their internal thoughts. In today’s time, we are constantly surrounded by media advertisements, be it on television, in magazines, on the hoardings, on the radio, and morever through social media on our phones and computers! These ads play games with our mind making us feel and look good should we decide to purchase the wares. They give us a feeling of being inferior the way we are and the way to feel better is to purchase those products being advertised. They make us feel that we want to look good like the models promoting those products and we give in to our temptations acknowledging the fact that we have a weak self-image. Now that we know what influences our self-esteem, we ought to understand why is self-esteem important. Self-esteem is based on our self-worthiness, which is a rating we giving ourselves based on the influences of the external world. If we consider ourselves not to be worthy of something that we desire, then unfortunately we have a low self-esteem. Do not underestimate the importance of self-esteem. It changes how you feel about and value yourself. It affects your confidence, and this can affect your success and thinking in a big way. High self-esteem is something that lifts you up in life. It gives you the feeling and the desire to achieve your goals. When you have high self-esteem, you’re naturally happier, more confident, and more successful. When you have low self-esteem, you naturally hang your head down low, find it more challenging interacting with other people, and you’re naturally less happy, less confident, and less successful. So self-esteem is important, because it affects your entire experience of life. We are aware that we need to build our self-worth thus helping to boost our self-esteem. But self-esteem is something that varies depending on the current state of our feeling and it is not easy to work on and develop our self-esteem. Many a time, we are self-critical and list all the negative qualities within us instead of looking at our positives. This damages our self-esteem and we need to realize to substitute this self-criticism with self-compassion. This is about being kind to yourself no matter what and that means being accepting of yourselves and letting go of the negativity that you see in yourself! Think of what you like about yourself and approve of yourself a little more. Listen to your gut… the inside invoice and say good things to yourself….” I deserve good things in my life; I am loving and confident; I am good at what I do” and so on. Be self-compassionate and your self-esteem will care of itself. When we feel bad about ourselves, we tend to be more resistant towards compliments, even though that is when we need them most. This is because we feel we are not worthy of those compliments. So, set a goal for yourself to accept compliments when you receive them, even if they make you feel uncomfortable. Prepare yourself to use the simplest of responses such as “Thank You” and “It’s very kind of you”, when you receive compliments for your work or for the way you look or treat others etc. Over a period of time, you will get over the feeling of uncomfortableness and this will be an indication of your self-esteem getting stronger. Everybody has talents. We only fail to nurture them over time and our talents get deep hidden within ourselves Take time to go back and think what made us happy when we were children, what made us happy as we grew to be adolescents and then what makes us happy in our work and our relationships. Find those talents and nurture them. It could be as simple as writing, singing, speaking, cooking, dancing etc. Give time to your talents and your self-esteem will grow, probably giving you an opportunity for a side-hustle as well! So what if you have made mistakes in your past, being insensitive to friends and relatives, have debts you feel ashamed of? That’s OK, move on. Stop blaming yourself and live in the present. Affirm your real worth by believing in your actions. When you are confident in your actions, you will do better at the things you do. When you achieve more accomplishments from these actions your self-esteem rises even more and you begin to feel that you are good at things which leads to further happiness. What you say matters. You can be your biggest critic or your own best supporter. 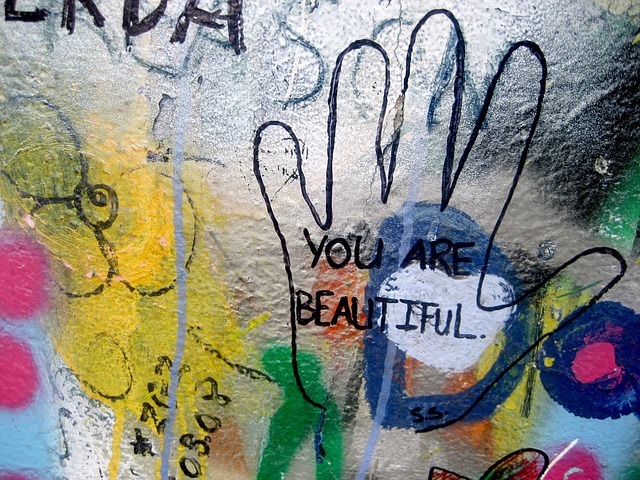 Self esteem affirmations can come in here, big time. You have to convince yourself or your own self-worth by saying good words to yourself. This could be difficult when your self-esteem is low. But start by changing your feelings, thinking of the times when you were happy and the times when you felt good about yourselves. Change your state of feelings and good words will start flowing. Self-esteem has a vital role to play for your success in life. 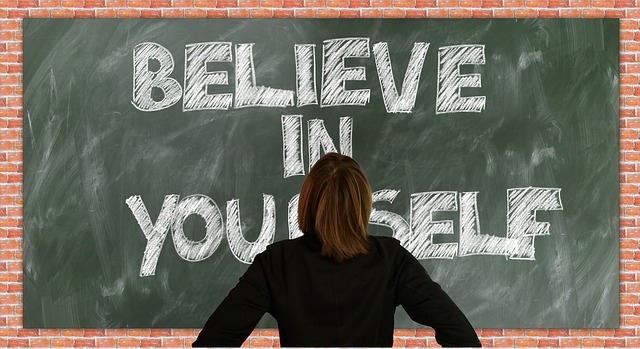 When you believe in yourself you are more likely to be more confident and take action. Confidence allows you to stand up for yourself and helps you to find new opportunities. Self-Esteem leads to confidence and allows you to overcome your fears. Confident individuals set the bar high and aim high. Lack of confidence leads to weak goals, setting the bar too low, and mediocre results. You are stronger than you think. Confident people believe in success. And more importantly, they believe in their ability to succeed. Believe in yourself. There is goodness and strength in everyone. You only have to find it and let it shine. My self-esteem has been going up and down lately. I’m about to make a big change in my life and while I will certainly do it, I sometimes feel like being incompetent or unworthy of the task. Some days I wake up determined and other days I can’t even get out of bed. How do you manage your self confidence? I sometimes feel disconnected with the people around me and that feeling of “not fitting” urges me to turn my life around. Dear Samson, thanks for your comment. I am glad that you have walked this journey and were able to improve and grow your self-worth and self-esteem. Please feel free to contact me if I can help in any way, I will be more than happy to do so. 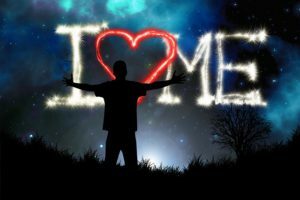 Its imperative that we build a good and strong self-esteem about ourselves. Parents should try and make sure their kids have really good self-esteem and self-image because this can have a huge impact on how the life of the child is shaped. A lot of us today leave with a masked identity. Not allowing people to see the real us because we ourselves don’t even like our real selves so we create an image that although suits the world around us but does not say who we really are. We are been influenced by our surroundings that slowly shapes our minds the wrong way without even realizing it. The media, friends, society. These are factors that influence our minds that we have little to no control of. But I think even if we have little to no control of these factors we can at least regulate the influence they have on our lives. We can make them to not have much influence on how we look at our selves or how we take our selves.This in turn can make our self esteem to be stronger than ever if we do not allow the surroundings to dictate how we live our lives. Dear Jay. Thanks for your comment and you have summed up the factors which influence our self esteem. in today’s world, we are consumed by the technology around us and it is true what you say that we are not allowing people to see the real us. We put on a mask, one which we are not, and face the world. But deep inside, we face fear of rejection. Thats where we need to let go of our past and be true to ourselves first. We have to face our fears, work on our talents and strengths and grow. Overall I really enjoyed your post. I will offer a few comments. I would appreciate you commenting on one of my posts. — In general, I we would say you might consider using more images. The ones you did use work very well. Personally I trust to have at least one pic in each section of my posts. — There was a typo in Media section: Television was capitalized in the middle of a sentence and in the same sentence you had “in the hoardings”, which must be a typo as well. — Later on in the same section you write “self-image of ourselves”, which is redundant. You don’t need “of ourselves” because self-image, by definition, refers to ourselves. Not a big deal just food for thought. — On a more positive note, I really like the quote (which I hadn’t heard until I read your article) from Thurman that you end the post with. It’s reminescent of “The Science of Getting Rich”, a true classic in the self I improvement genre. That’s pretty much all I guess all I got. Great job! I look forward to hearing your thoughts on one of my posts. Thanks Lee for your comments. I have made the changes as suggested. Appreciate your feedback. Having a low self – esteem could potentially stand in the way of all the nice things to come in a person’s life. Most of the people know that. Even though they try hard to get rid of it, it doesn’t always work. Unfortunately, we all have things that tend to keep us down from time to time. I completely agree with you – working on our talents and stopping the blame towards ourselves can make miracles. Thanks Boby for your comments. Its during the difficult times, that we lose self-confidence and forget that we have accomplished things during the good times. Thats when we need to start forgiving ourselves and work on our strengths, thus leading to growing our self-esteem. A very encouraging article and such an important topic about improving our self esteem. Very good work! Thanks Marianne for your kind words. Hope it is of help to you and you may share this post as well. This article provides an excellent blueprint on ways those who’ve had low self-esteem due to home and school, among other avenues. As someone who’s been self-critical of himself for years, I can’t stress enough how self-criticism can curtail one’s development. A few years back, it had set me back regarding opportunity and crushed my confidence, with me telling myself why I can’t rather than why I can. It took for me to actually drop my career and work a real labor job for me to finally come to the realization that I WAS worth the career I was in and the only one stopping myself was me. In fact, from Day One at this job I had to ask myself what I’d done to myself, what I could’ve had, and what I’d become. Knowing your worth and being compassionate about yourself is something I can tell you from experience will allow you to rewire your brain and really know what you can offer to the world. It shows you how good you are and how good you can be. And when you know what you’re capable of, nothing will stand in your way. Thanks Todd for your comment. Its only experience that teaches us to be compassionate to ourselves. Its during this time that we learn to love and forgive ourselves, regroup our energies and focus on something that we wish to achieve. Wishing you all the very best in this journey called life. Self-esteem and confidence are important in every aspect of life. It is visible and others will act accordingly to it. The worse we feel about ourselves the worse thing become because we expect that. Thank you for the great tips to increase self-esteem . I look forward to more of your posts. Thanks Wolf for your comment. Thats true when we feel worse about ourself, bad things happen because we think more about our fears than our strengths to overcome those fears. Thanks Marvin. I am glad you realised your potential and broke out of your comfort zone. Wishing you all the very best. I think I had always been someone who’s pretty open since I was young – and most of it I think comes from my sense of curiosity since young and that my curiosity doesn’t listen to people. So I listened to people a lot less.. But now that I’m older, with social medias everywhere, it’s hard not to compare yourself to others. I never see myself to be higher or lower to other people because I believe that God created us fairly but perhaps not equal. Something that I have, others might not and vice versa. But now, it’s more in terms of health. I have been suffering from eczema since young and it’s hard not to see other people out there with perfect skin. I now am still trying to cure my eczema. But I like your conclusion on the post that it all comes back to loving yourself. I’m learning to love myself wholly again, with or without eczema. Thank you so much for sharing this post. Really appreciate it. Hi Wina, thanks for your lovely comment. You inspire people around you and I am glad you are doing amazing stuff like yoga and teaching as well. Like you said, God created us fairly and has already given us all that we need to succeed and be beautiful human beings. We all have the shiny object syndrome and fail to notice the goodness within. I am happy you have the spark and spreading the good work. Wishing you all the best. I recently discovered how valuable it is to have high self esteem. I am on the board of making major changes in my life, one day I would feel on top of the world and then the next day i feel crushed. I discovered the problem was with certain people around me who want to make sure I don’t go ahead of them in anything, my discovery is helping me cope better. I think realizing the reason (s) helps alot in taking action. I am working on removing my self from this toxic person, it will take time, but i can’t wait for it to happen. Thank you for your post, helps alot. Thanks Sahar for your comment. Yes, you are right. Many a times we know the reason, yet don’t take action! Thats because of fear of getting out of our comfort zone. You know your reason and I wish you the very best to take action. 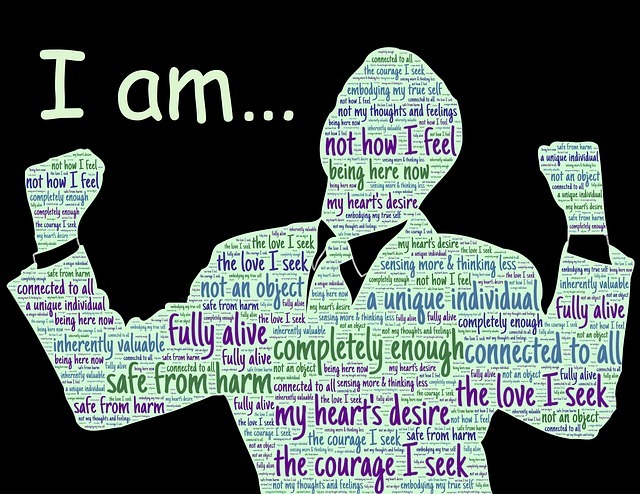 Positive affirmations are incredible… almost like magic! This is an awesome post with so many pointers to learn from. How do you use affirmations as this is something I’m really interested in hearing other people’s views about. I read “miracle morning” a few years ago and some of the strategies in this book have changed my morning… which changes my day… which changes my life for the better. Thanks Mike for your kind words. Affirmations are part of my morning and night routine. I start with gratitude which elevates my feelings, puts me in a positive mood and then simple affirmations that boost my confidence! Keep the positive thoughts going on in my mind and make all efforts to block the negative thoughts. Your posts are awesome too and I have bookmarked your page. I have always been to self critical, and now I realise that its actually negative. Thank you for the great post, it actually helped me self assess my own behaviour. Dear Flo, thanks for your comment. I am glad my post helped you in someway. Your website is also great-looking. I really liked the theme and your content as well. I really believe all happiness comes to you once you do believe in yourself! I wish I had not spent so many of my younger years having low self esteem and caring what others thought. I’m happy that I now have all this in perspective and don’t allow what others think to enter my mind. Thanks Dianne for your comment. Its only when we look back, we are able to connect the dots. Let the past be in the past. Wishing you the best to come. Great article! I struggled with low self-esteem throughout my life. When I say struggle I mean STRUGGLE! With me it had always been an up and down situation. Getting brought down by certain influences then picking myself up only to be torn down again. Needless to say, the individuals who did the negative influencing have long been removed from my life and I have never felt better. I have a fluctuating self-esteem and I have realized that people affect my self-esteem a great deal! Thanks for the helpful advice – especially the advice on using your talents – I stopped dancing during varsity and now 6 years later I started dancing again and it has been so amazing and has given me a big confidence boost! Thanks for the great read! Hi Laris, thanks for your comment. I am happy you liked my post. We know the answers to the challenges we face, but we need some sort of sign from the universe to realise that and get back on track. I am glad you found your talent and i hope you continue to work on it and fulfil your dreams. I love the subject matter, and is Covered very well. But I think there is a good and sour element, that causing man women , and children to rebel, a very unnatural element, That thrives on disorder and chaos, tearing down the original design of humanity in a earthy realm. I get connected to superior originality design to unite for greater purpose. A means of order and commonwealth building relationships, using our inspired given gift, which is our character, stimulating selfless act of kindness for purpose of building others esteem, as well as character. With strong positive characters, obtaining unioand strength, for a foundation of success.